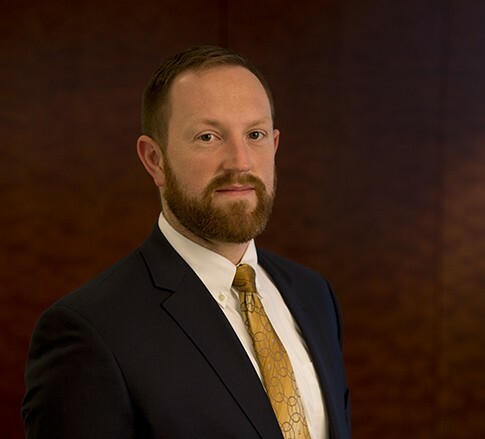 Benjamin J. Wilson is an Associate in the Firm's Labor and Employment, Workplace Safety and Health, and Business Law practice groups, focusing on labor, employment, workplace safety and health, and transactional matters. He practices out of the Firm’s office in Charleston, West Virginia. Ben’s law school experiences helped shape him as an attorney. He received his law degree from the West Virginia University College of Law in 2017. While in law school, Ben served as a research assistant to several professors and as a teaching assistant for Professor Jessica Haught and the legal writing program. An avid reader and writer, Ben held the prestigious position of Editor-in-Chief of Volume 119 of the West Virginia Law Review. Ben also served dual roles in the College of Law’s recognized clinic program, serving on both the United States Supreme Court Clinic and the West Virginia Innocence Project. Ben’s work history also gives him a unique perspective. Prior to law school, Ben was a commissioned park ranger for the State of Michigan, where he was able to exercise his love of the outdoors in tandem with his Bachelor’s degree in parks, recreation, and tourism resources. As evidenced, Ben is an avid outdoorsman, and he loves hiking with his Labrador Retrievers and fly-fishing. Reminder: Employees Can Discuss Salary and the Terms and Conditions of Employment With Each Other. Employees are not permitted to misappropriate confidential information in support of their discrimination claims.